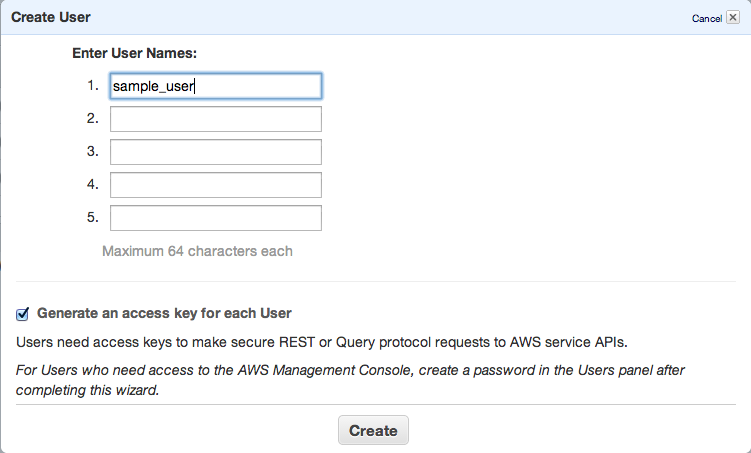 First of all, setup your AWS account – and login into AWS Management Console. Then create any bucket you want. Next step is to add new IAM user – go to https://console.aws.amazon.com/iam/home?#users, select Users and click Create new user button. Click Create and copy/paste or download your access keys. Set permissions as shown in following image – we need ListAllMyBuckets for :::* and ListBucket and PutObject for the one, specified bucket. That’s all. Lets move to bucket policy. 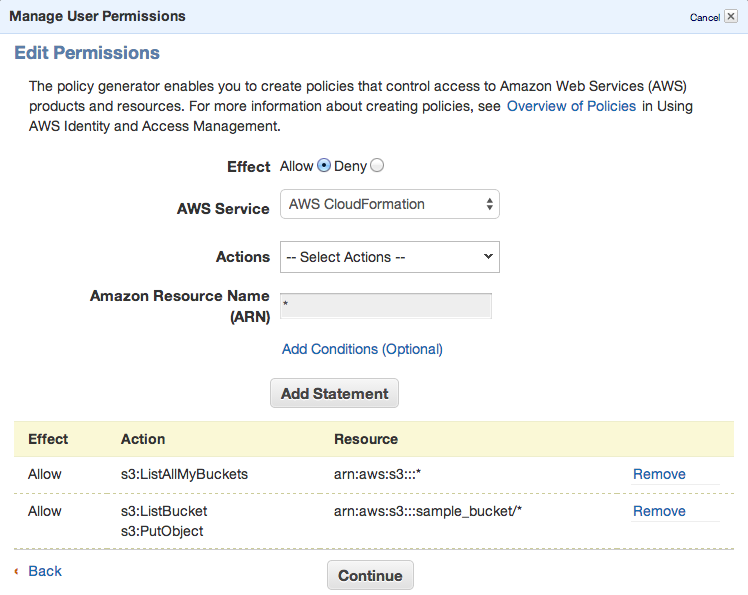 Now you can open Policy Generator – http://awspolicygen.s3.amazonaws.com/policygen.html and start adding new items. and then fill new policy – we need two policies – one for all users to read objects (GetObject) and second for your new user, to be able to upload, delete and get object as well. So, add your user the same way. As principal add your ARN notation (which you copied before) and add Actions as shown below. Last step is to add this policy to the bucket. Go back to your S3 console (https://console.aws.amazon.com/s3/home), click loupe icon next to bucket name and open Permission section. 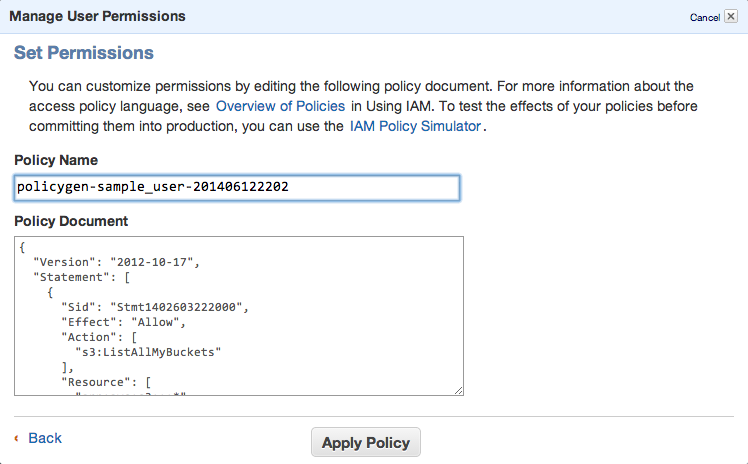 Click on Edit Bucket Policy and paste the generated policy into that window. Save and you’re done. You’ll need API keys for use with Paperclip or any other S3 storage engine, so keep them safe. PS: when you plan to use s3 as storage for your static files, avoid using underscore in your bucket name – as it does not comply with valid FQDN. ‘sample_bucket’ was used only as an example, in the real word you should use ‘sample-bucket’.